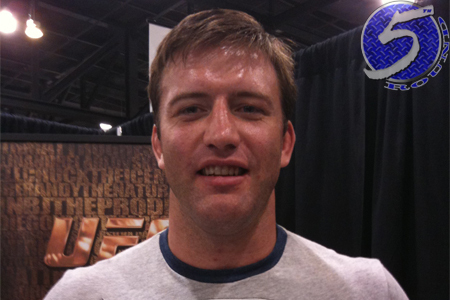 Less than 24 hours after the mixed martial arts world discovered Stephan Bonnar (Pictured) and Dave Herman flunked post-fight drug tests, both for the second time under the promotion’s watch, the UFC issued a statement regarding their stance on banned substances. While the promotion didn’t report which substances they tested positive for, it was reported yesterday Bonnar had the anabolic steroid Drostanolone in his system and Herman was busted for marijuana metabolites. Bonnar’s suspension is irrelevant because the 35-year-old retired this past week. Herman, on the other hand, has been finished in his last three fights and could be on his way out of the Octagon. If that’s the case, he won’t be able to compete until for his new employer until his ban is lifted. UFC 153 took place October 13th inside HSBC Arena in Rio de Janeiro. Bonnar lost to Anderson Silva in the show’s featured attraction, while Herman was submitted by Antonio Rodrigo Nogueira in the co-main event.